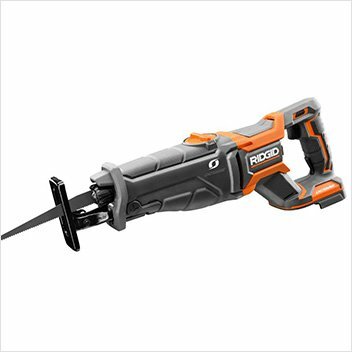 Do you have a reciprocating saw? 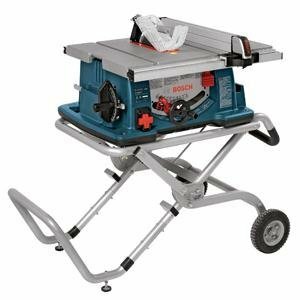 Even if you do not own one, you must be familiar with power saws, which are designed to deliver accurate cuts. As for reciprocating saws, if you want to tear down, they would be the right tools to use. All you need is to ensure that you have the best reciprocating saw blades and you should be good to go. These are saw that is said to be crude in nature and are quite versatile. They have become a favorite tool for most contractors due to their versatile nature. 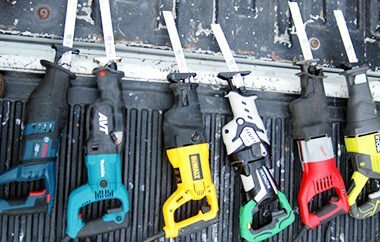 There are some people who argue that these may not be ideal for DIY enthusiasts, but we hold a different opinion. You can make use of them as they are fun to use and have a myriad of uses. The blade of the reciprocating saw is one of the crucial parts and this is what makes it easier to execute tasks without a problem. However, at some point, the blades need to be replaced and you may feel lost and confused. 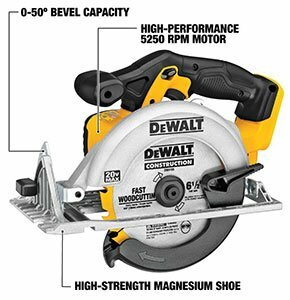 In this guide, we will look at everything that you need to know about replacing blades for a reciprocating saw. Reciprocating saw can use a number of blades, depending on what you want to cut. There are different blade designs and styles and they are also made of different materials. In order to get the best result, you should always ensure that you are using the right blade for each type of material that you intend to cut through. For instance, if you want to cut metal, a fine blade would be the most ideal to use. However, if you are cutting wood, a coarse blade should do the work, without a problem. Use the extremely coarse blades for drywall and plaster, and spare your fine blades. For ceramic tiles, cast iron or stone, you need to use the toothless blade, which is coated with tungsten carbide, with abrasive grit. With all these different types of uses, you will need to replace the blades often. 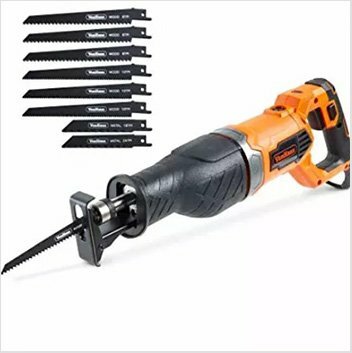 How To Replacing Reciprocating Saw Blades? 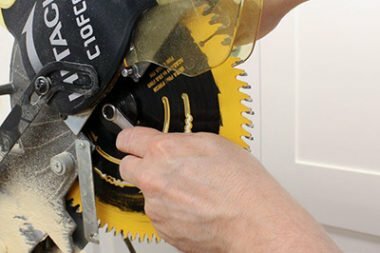 If you are cutting metal and need to cut through drywall using a reciprocating saw, you will need to replace the blade. The saw is powerful and will give you fast results. However, the back and forth movement wears the blades and out and you will need to replace them at some point. It is quite dangerous to use blunt blades for your tasks. Before you can start the process of changing and replacing blades on your saw, please unplug it from the power source. This is a safety precaution to ensure that you do not accidentally turn on the saw when changing the blades. You check again and ensure that it is not connected to the power source at all before you can proceed with the process. You need to protect yourself as well, during this process. Please wear safety gloves and also goggles, as a way of protecting yourself from any potential injury. There are some precautionary measures to take when working on your reciprocating saw. 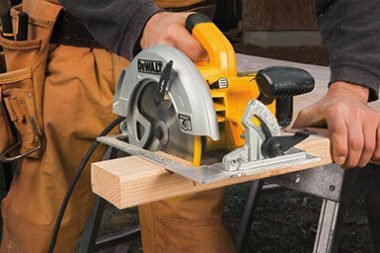 With the saw unplugged from power or the battery removed, you can start the process. You need to have checked and confirmed the type of blade and the size that your reciprocating saw is using. You should have the right model, which is compatible with the model of reciprocating saw that you have. When working on the saw, holding it against your body and point away. Make sure that the blade is as far away from your body, as possible. Even with the saw unplugged from the power source, you should never hold it near the switch. The next step is to find the thick ring, which is at the base of the saw’s blade. This is usually referred to as the locking collar and it is the place where the blade goes into the saw. Once you find it pull it towards your body, which turning it counter-clockwise. 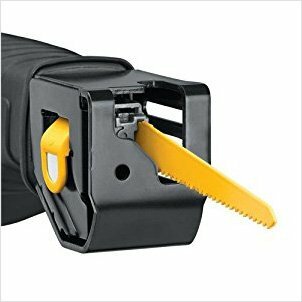 As the collar loosens, the blade will start popping out of the saw, as the collar comes with a spring mechanism to eject the blade. Remove the old blade and insert the new one into the same place as the other one. When you place the blade, you should lock the collar, in the clockwise direction. This should lock the blade into place. When the blade is secure and fixed firmly, there will be a clicking sound. The teeth of the reciprocating saw blade can be installed either facing upwards or downwards. Finally, replace the battery, or plug the saw back to power. Watch out when cutting near finished floors and walls so as not to cut pipes and wires. Wear safety clothing when operating the saw. If you are on a ladder, secure yourself as there is a possibility kickback. The blades get very hot, so never touch the blade right after a cut, as it may cause serious burns. There are different types of uses of the reciprocating saws. For each task, you will need to use the right blade. Finding the best reciprocating saw blades is imperative. However, you need to ensure that you know how to replace the blade and with this guide, it should not be a problem. With the right blade, you will be able to achieve so much with the reciprocating saw.